California prison hunger strikers are entering their twelfth day of refusing state-issued meals in protest of long-term solitary confinement, the controversial gang validation process that has put 3,000 in indefinite isolation, and related issues. 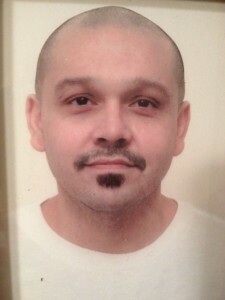 According to the latest figures from the California Department of Corrections and Rehabilitation (CDCR), 1,457 individuals in 15 prisons across the state are still officially considered to be on hunger strike, as of Thursday. CDCR’s press release states “publicizing participation levels at specific prisons could put inmates who are not participating in extreme danger.” Hence, it has been difficult to gather information from California prison facilities. Questions to Public Information Officers at Pelican Bay State Prison and and San Quentin unrelated to the number of hunger strikers have been referred to the CDCR press office, which will not release specific information. 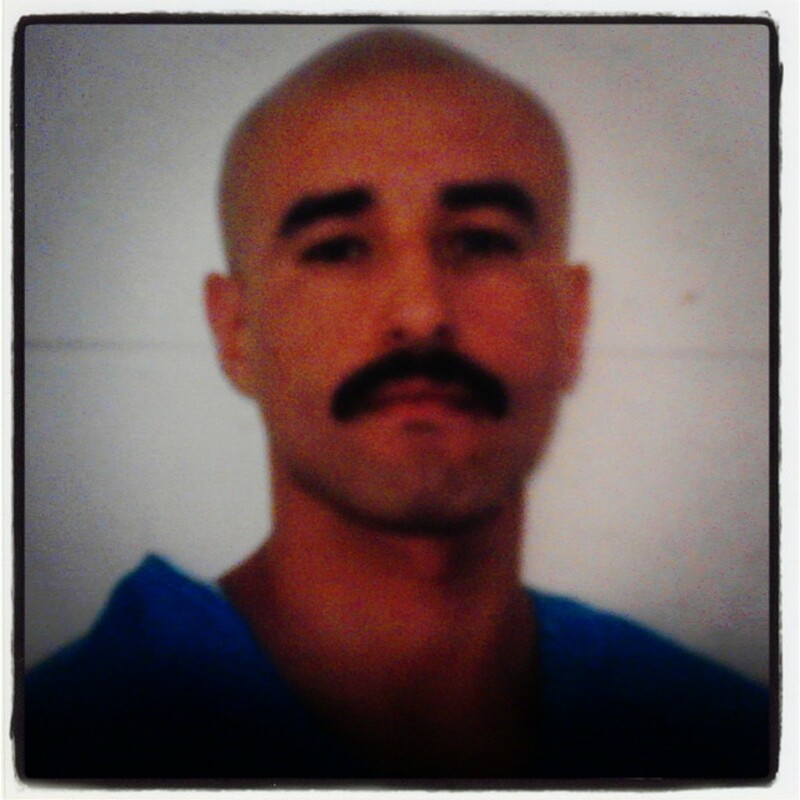 However, Solitary Watch was able to confirm last week that California State Prison, Corcoran, had identified leaders of the hunger strike at the facility and had placed them in Administrative Segregation. A July 16th letter from the state-wide hunger strike leaders at Pelican Bay stated that they had also been removed from their cells and placed in Administrative Segregation, a practice that occurred in previous hunger strikes. We were all isolated on a tier, in strip cells with nothing but a set of clothes and fish kit – spoon, cup, bar of soap etc. – with ice cold air blasting outta the vents! The warden personally told us, “As soon as you eat, you can go back to your SHU (Security Housing Units) cells.” My “mattress” was not even a mattress. It only had lumps of padding in places and was only 50 inches long – on ice cold concrete. This was all intentional, by design. They know that when a person is subject to cold, the body requires more energy. When you’re not eating, the ice will cause your body to feed on muscle and internal organs and the brain etc. much faster. Permanent damage can happen a lot faster. The retaliation against hunger strikers was expected, as CDCR itself had stated in a press release on July 11th that it would be removing canteen items from the cells of hunger strike participants and that leaders of the “mass disturbance” would be placed in Ad-Seg. As more days go by, there is an increased risk of adverse health problems. In February 2012, a hunger striker in Corcoran’s Ad-Seg, Christian Gomez, died after one week of hunger striking against solitary confinement. 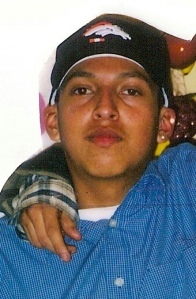 Gomez had a history of health problems at the time of his participation of the lesser known hunger strike, which was inspired by the statewide hunger strikes of 2011. The California Office of the Receiver had reported to Solitary Watch that ten hunger strikers at High Desert State Prison required medical monitoring one week into their now-ended hunger strike, which began one week before the statewide July 8th hunger strike. The Office of the Receiver has since refused to provide numbers on how many current hunger strikers are being medically monitored. Solitary Watch has received images from loved ones of hunger strikers, following the publication of six other hunger strikers photos from last week. 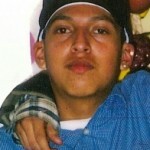 Javier is currently 10 years into a 25-life sentence due to California’s three strikes law. Incarcerated in the Pelican Bay SHU since June 2009, he was previously incarcerated at California State Prison, Centinela. This entry was posted in News and tagged Activism, administrative segregation, California, California, CDCR, Corcoran, hunger strike, Pelican Bay, Retaliation, Retaliation, SHU, Solitary Confinement, Supermax Prisons. Bookmark the permalink. Are there petitions or letters to send to the prison officials? I just don’t understand why prison officals have to fight back by making tortorous conditions all because the inmates are trying to stick up for their rights. Inamtes are trying to change things and maybe bring attention to the way they are being treated. I don’t think prison officals should be blasting cold air on them and isolated them even more all because they are speaking out for themselves. My brother was being held at Corcoran in the SHU up until August 2012 when he passed away. He spent 8 years in the SHU. A paper was written on him and the debriefing issue came up. We were told he was being pressured to debrief. Prison officals state that they do not pressure inmates to debrief yet they act just the way they are during a hunger strike. They keep all lights on, automatically flush toilets every 15 minutes and make a bunch of noise, all to break these men down to get what they want. If they didn’t pressure inmates to debrief, then why is all the other stuff necessary? This I do not understand. My prayers go out to all the hunger strikers. What is it with those that have higher authority to treat the inmates the way they do? I pray that the Lord would change their hearts and they would stop treating the inmates inhumanely. Lord Lord I cry out to you asking that you would change the system the inmates are suffering worst than an animal no one should go through the things they go through in there. Strengthen the inmates I pray the the armies of angel would be by their side give them peace and make a change. Amen! Gosh reading all of this just breaks my heart. All the inmates who’ve passed away last year. Geez! If nothing changed on the last hunger strike, what’s going to change this time and what’s different about this strike from the last. The attitudes of the prison staff is so cold and as if they even care. Heck they seem like they possess an attitude of a criminal on a mission w/thoughts of “IDGAF”. Thank God my son is out. I pray for the family of inmates on the strike as well as the inmates. I hope they stocked up on canteen. Inmates lost their rights the moment they were found guilty of their crimes.